in fond memory of Anne Lydia Evans, 1929 - 1999, who shared the secret of this garden. Chosen as the featured memorial in May 2004 for two reasons. Firstly, it is very unusual to find a modern sculpture used in such a way. 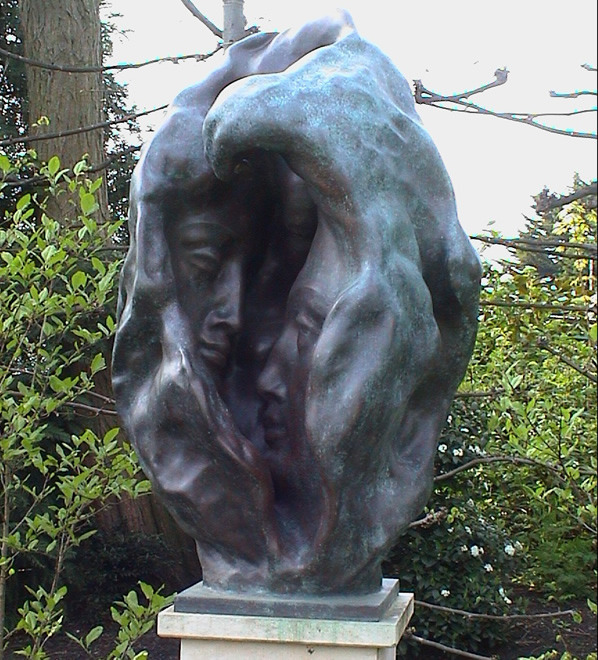 And secondly, this sculpture is beautifully placed in a small enchanting garden within a well-know park in central London. Not quite "secret" since access, from the Inner Circle, is easy and free, but this meditative garden is little used and a true delight. 2017: From Londonist we learn that the house, St John's Lodge "was built in 1818. The gardens were designed as a series of compartments ornamented with sculpture and stonework, designed to be 'fit for meditation' by Robert Weir Shultz in 1889."